LOL/OMG: Happy First Avenue Day! 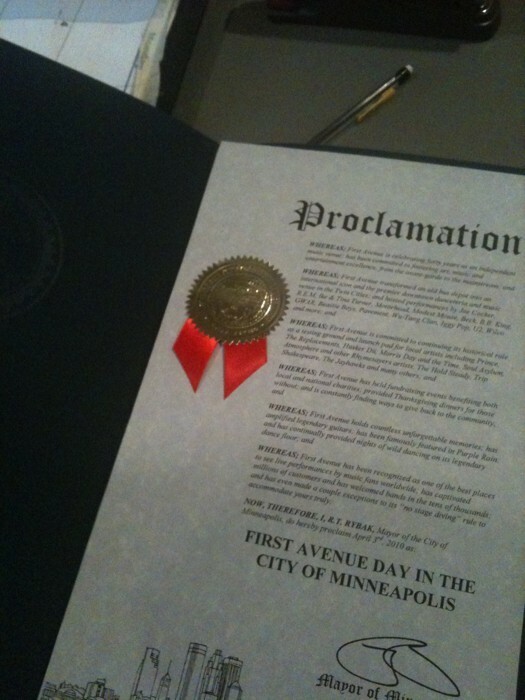 This just in, via First Avenue twitter: "Mayor Rybak has declared April 3 (our 40th birthday) First Avenue Day." Congratulations!